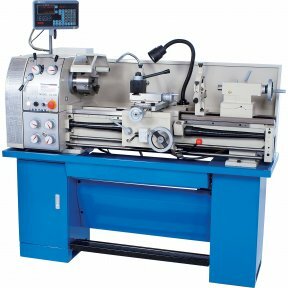 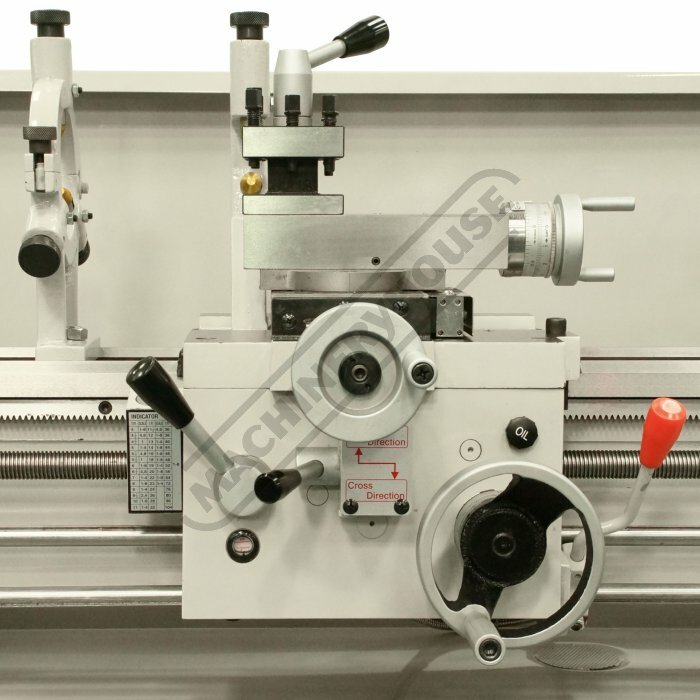 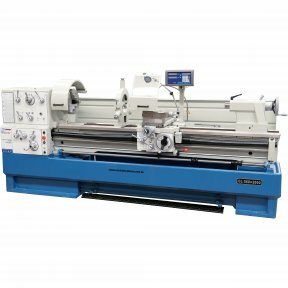 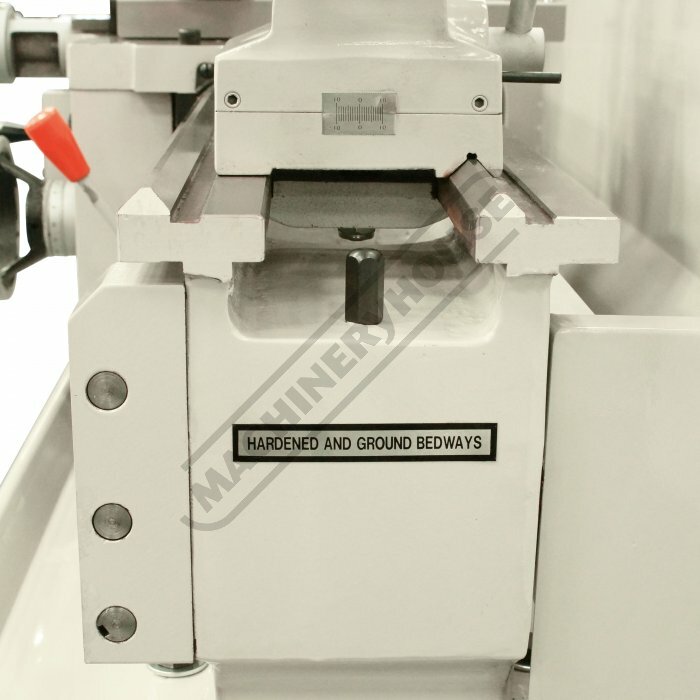 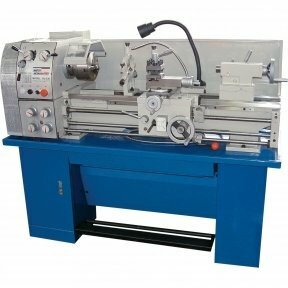 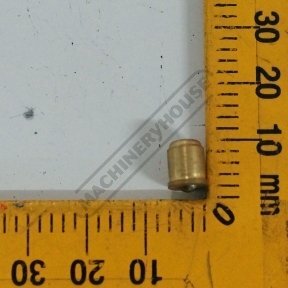 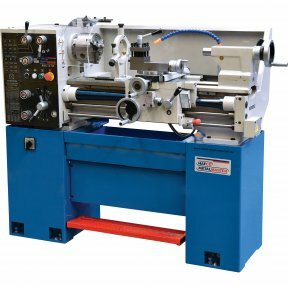 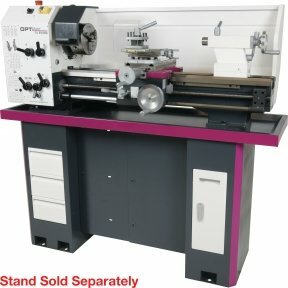 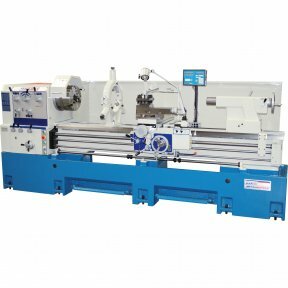 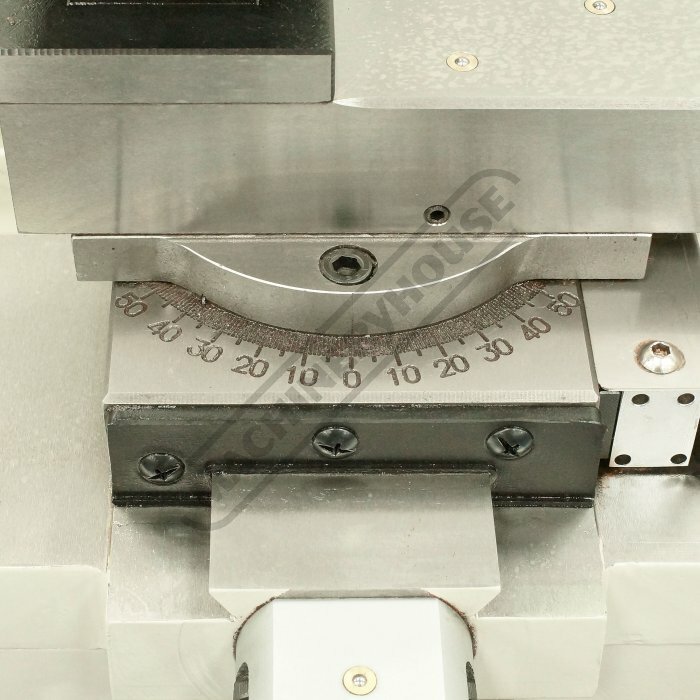 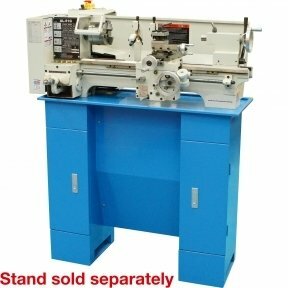 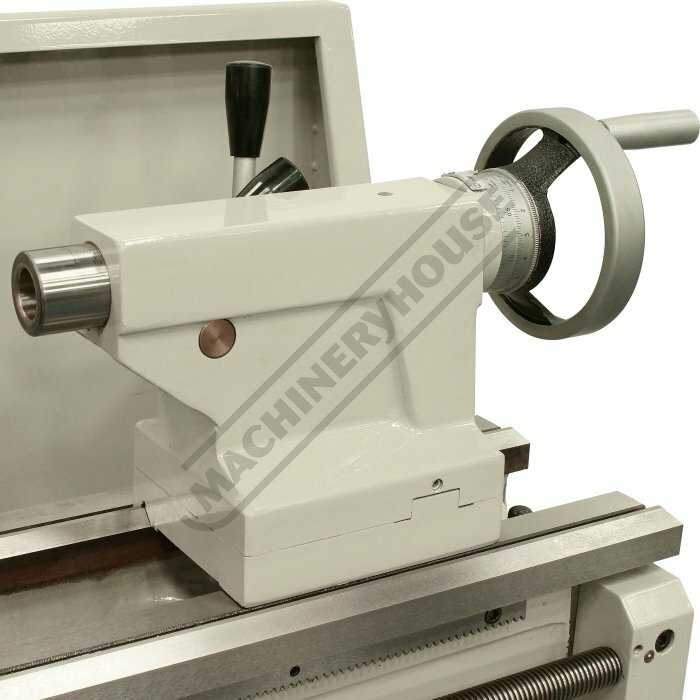 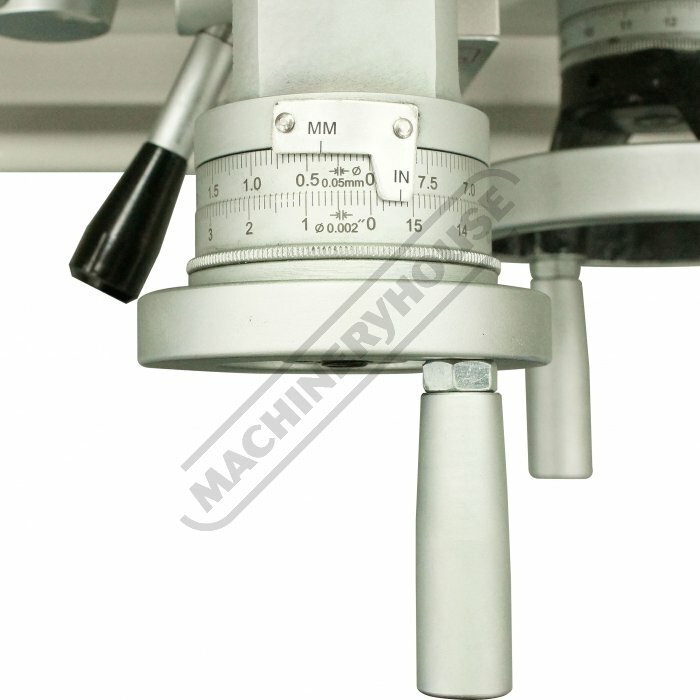 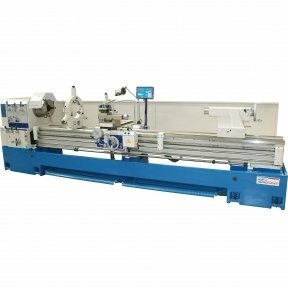 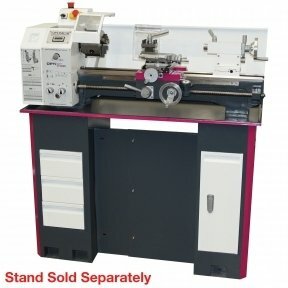 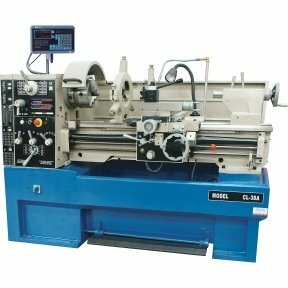 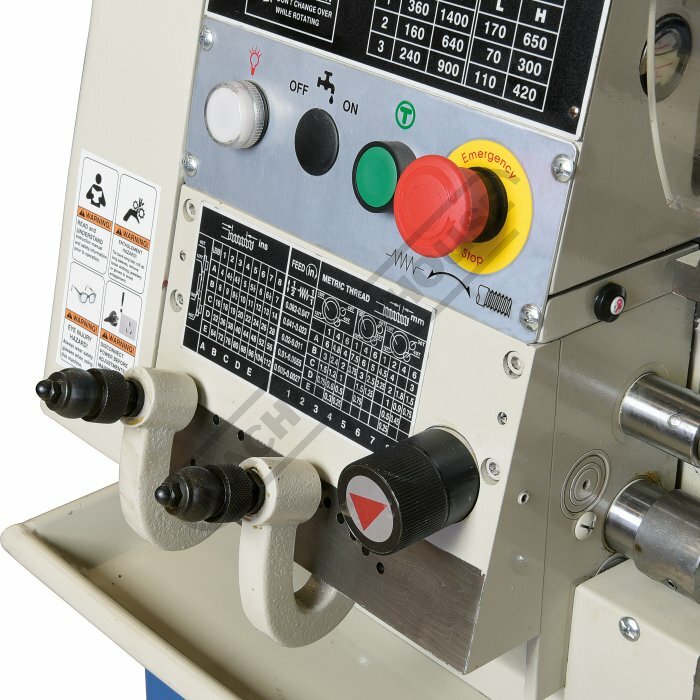 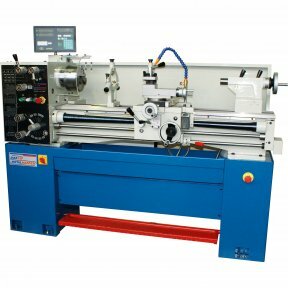 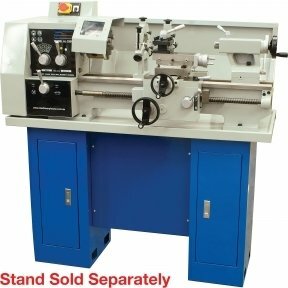 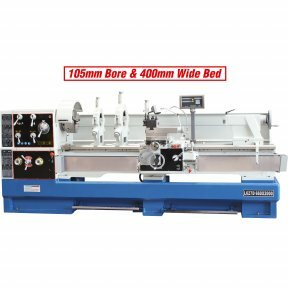 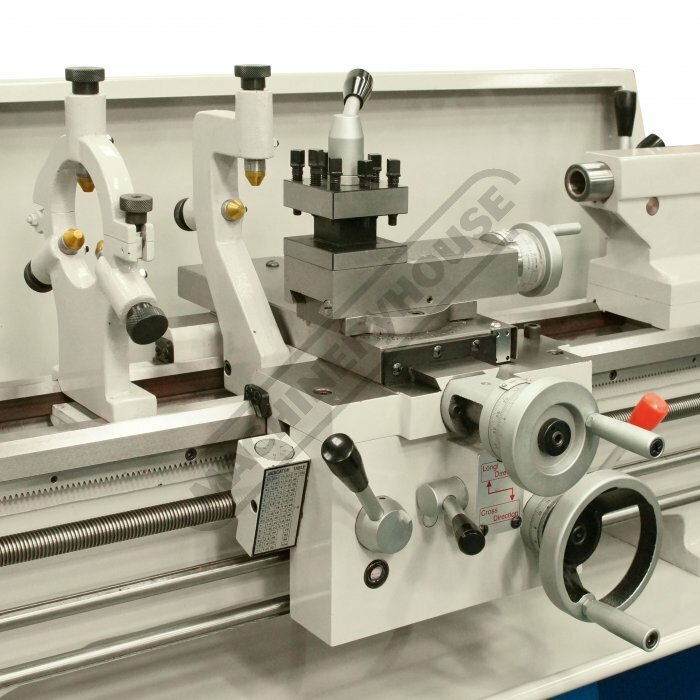 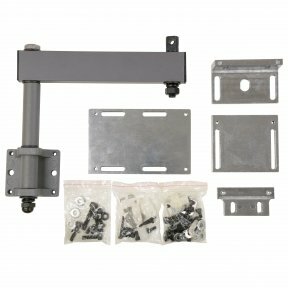 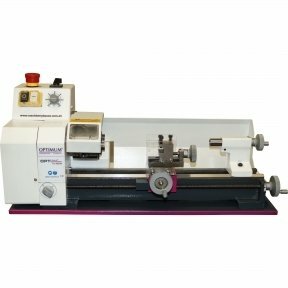 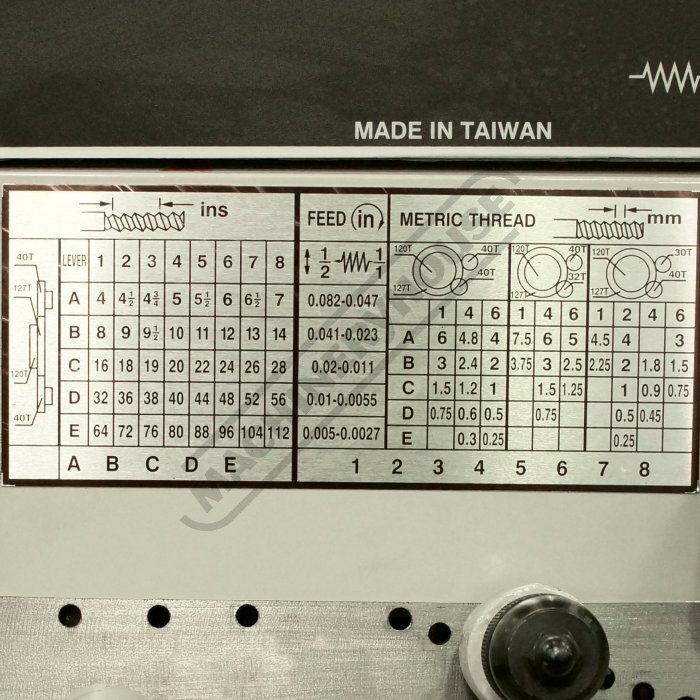 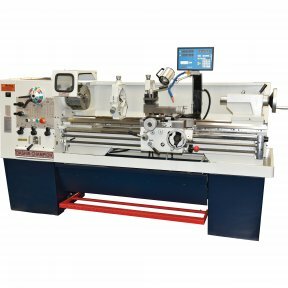 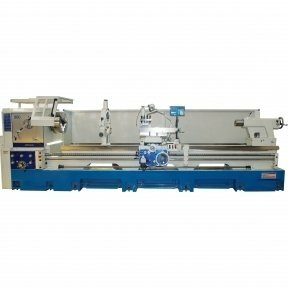 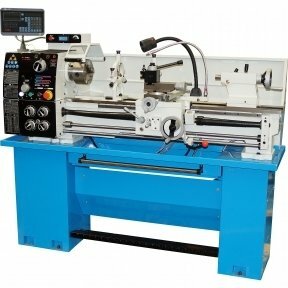 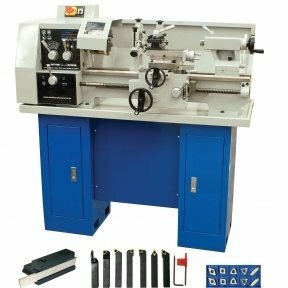 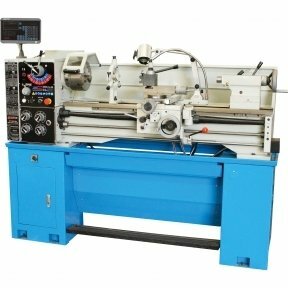 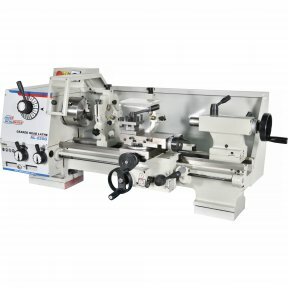 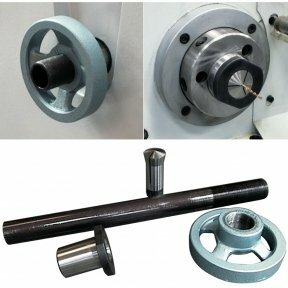 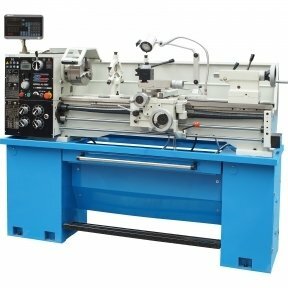 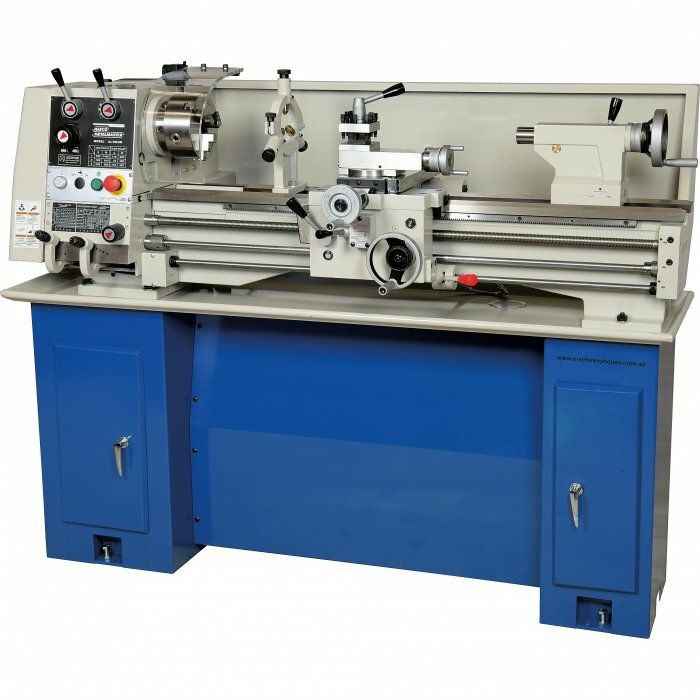 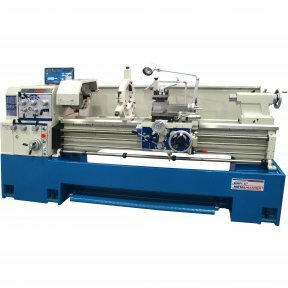 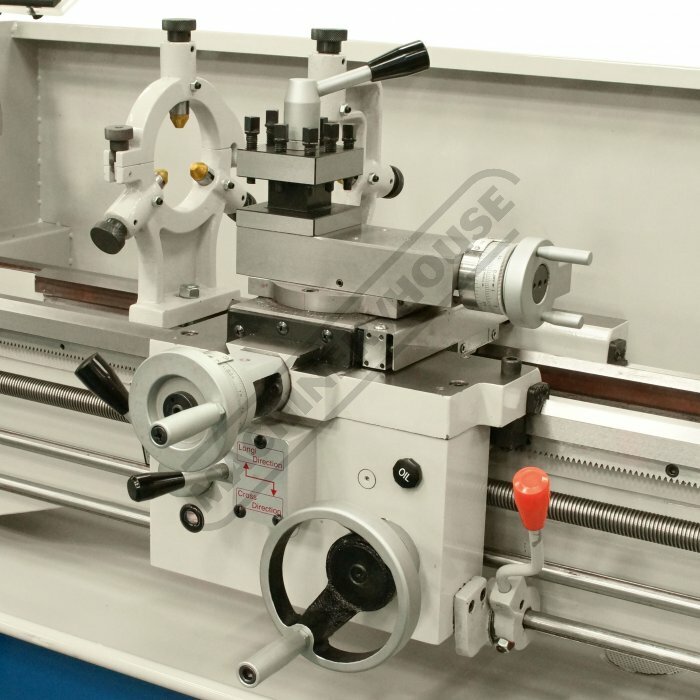 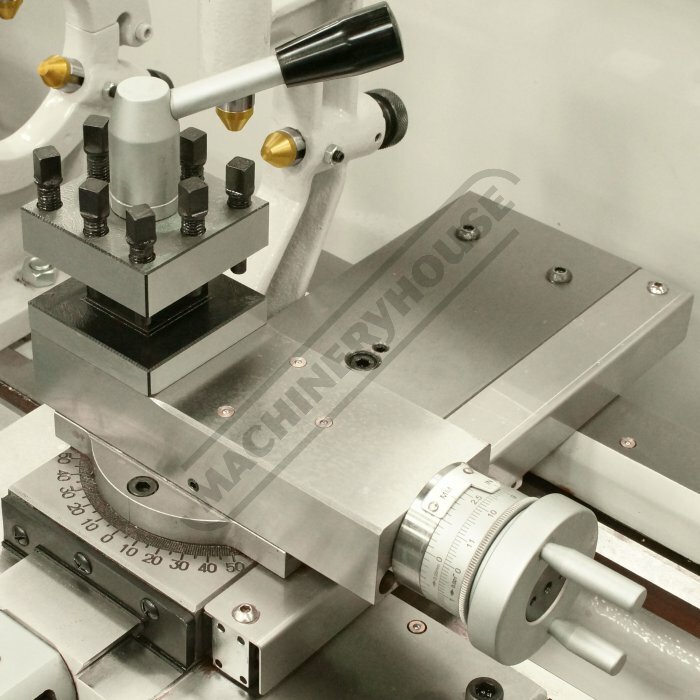 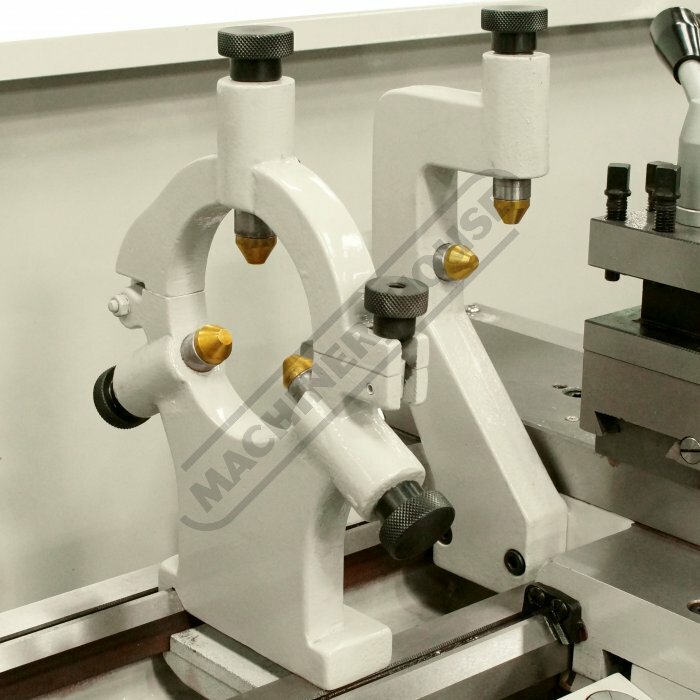 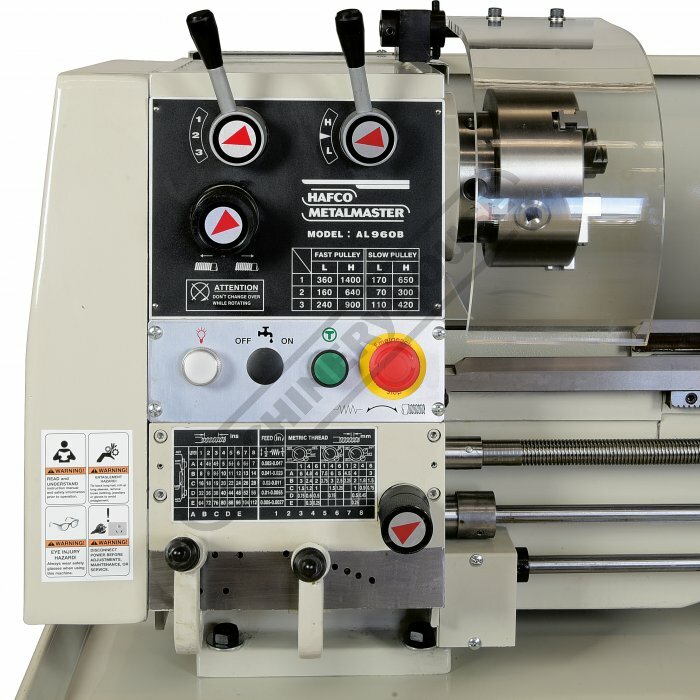 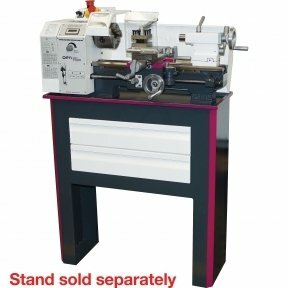 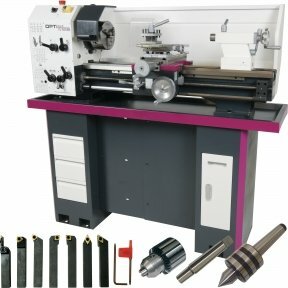 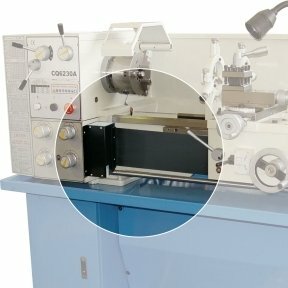 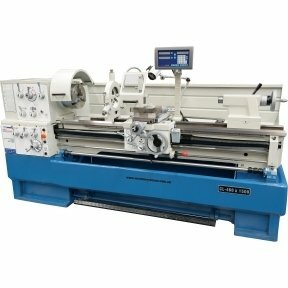 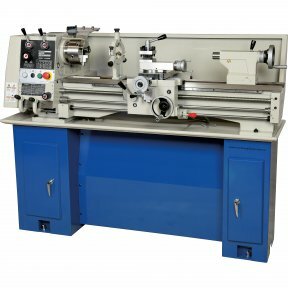 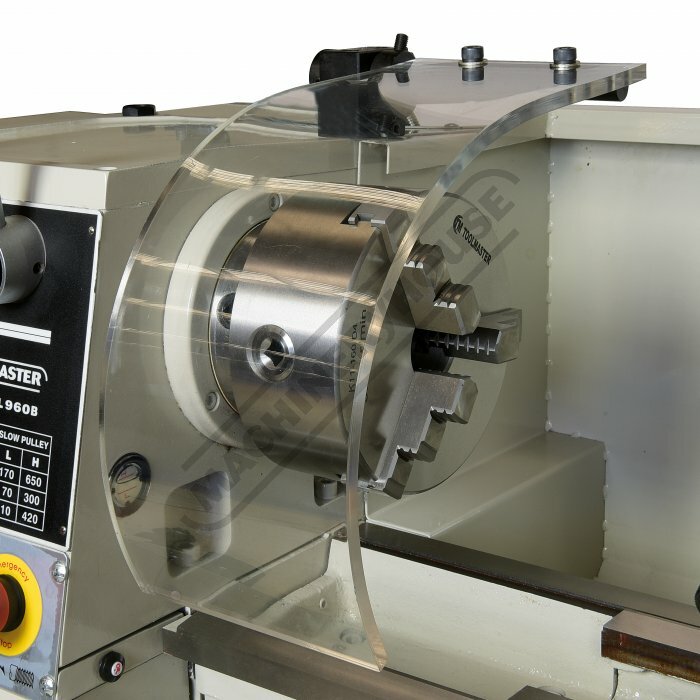 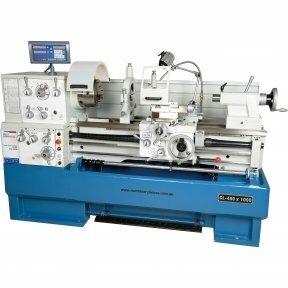 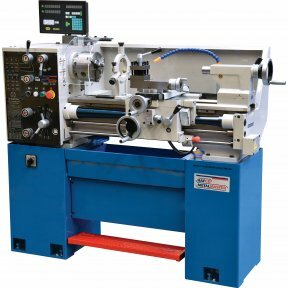 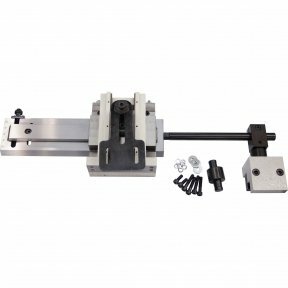 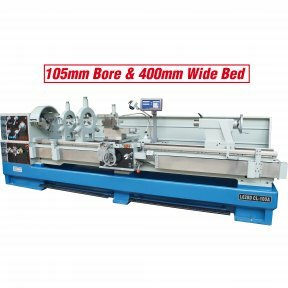 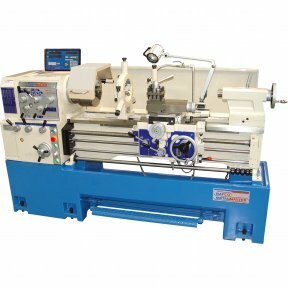 A superior Taiwanese quality specification, floor standing, heavy duty metal turning lathe suitable for the enthusiastic home model engineer, gunsmith engineers and small work shops. 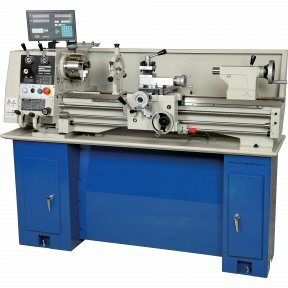 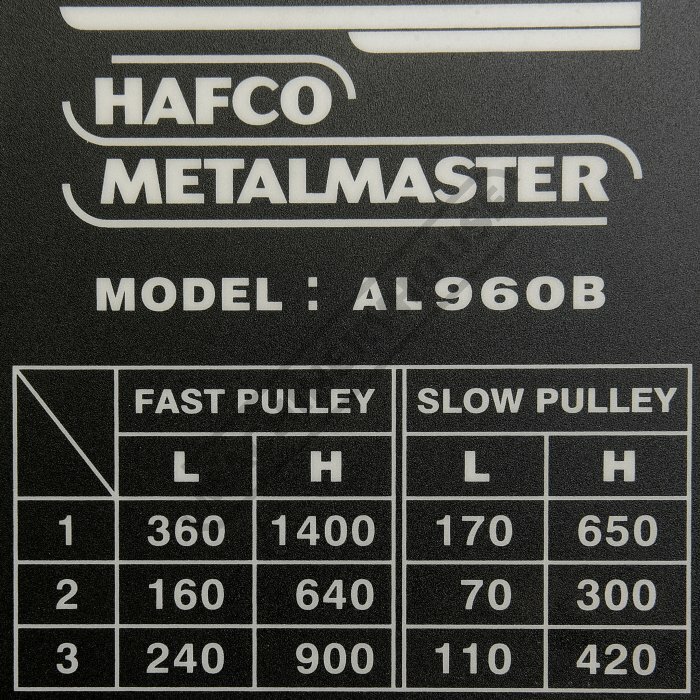 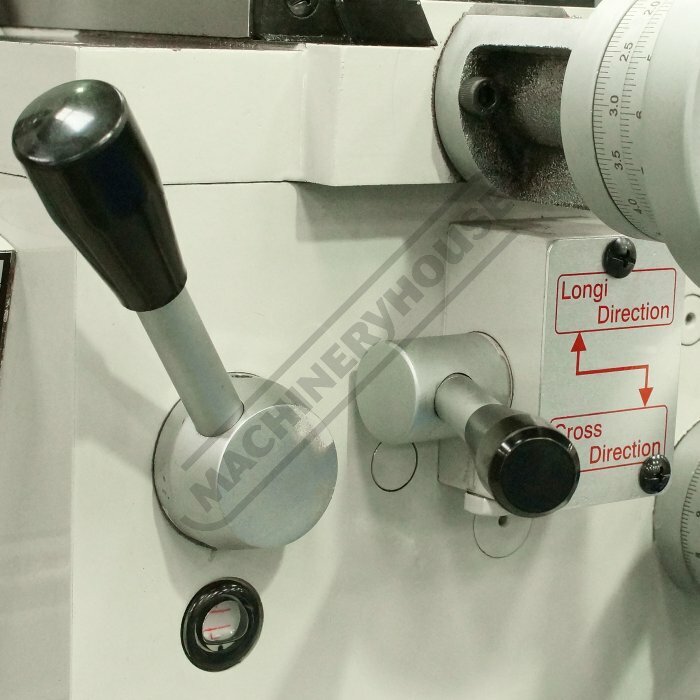 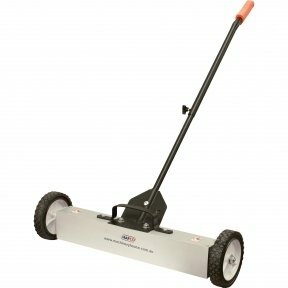 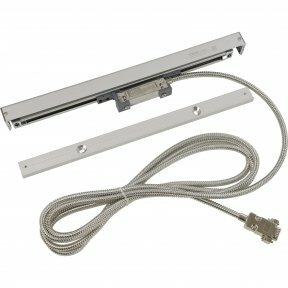 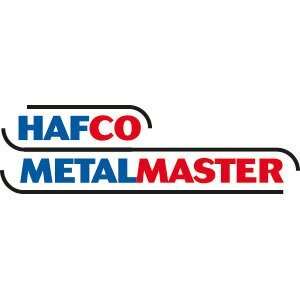 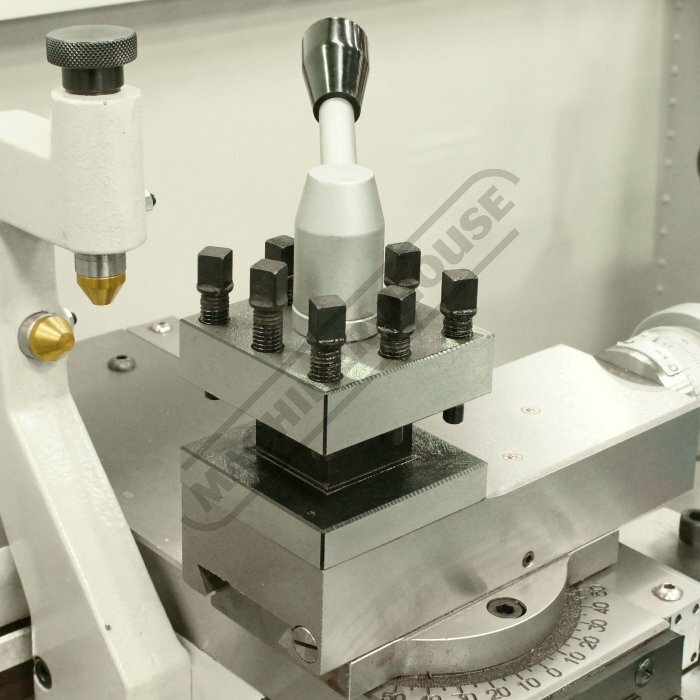 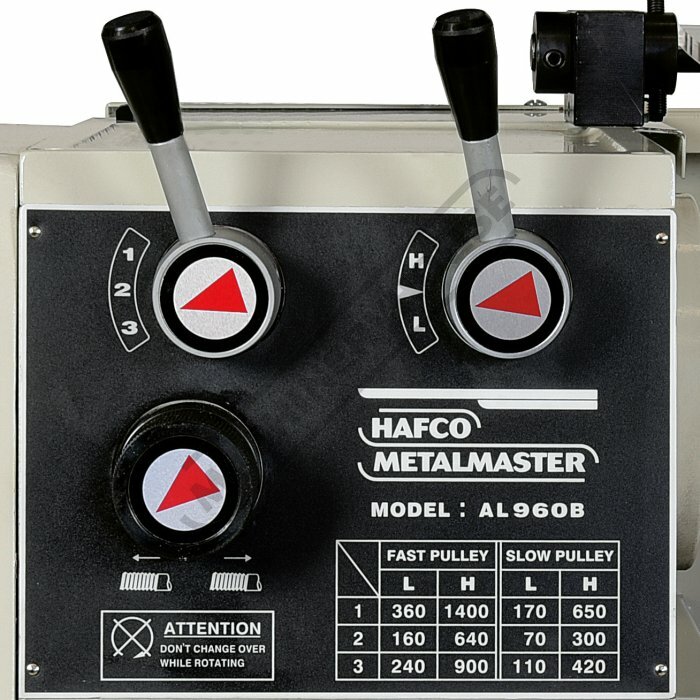 Featuring a precision ground, induction hardened bed, fully gear driven spindle with hardened and ground gears with a speed range of 70 - 1400rpm, selectable via the front of headstock mounted gear selection levers. 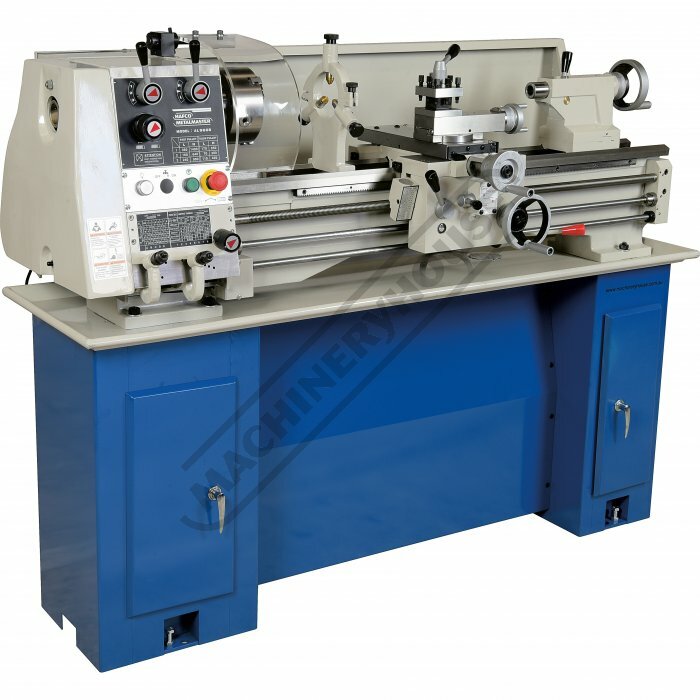 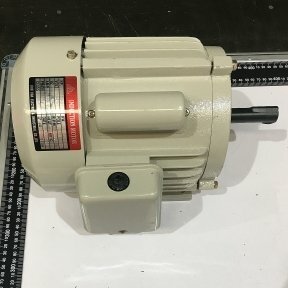 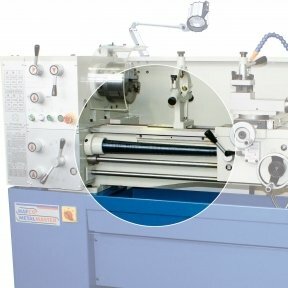 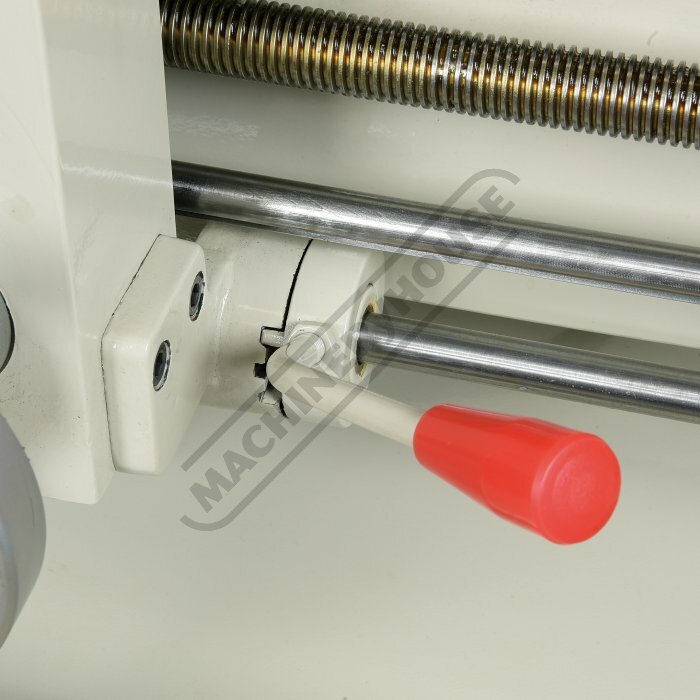 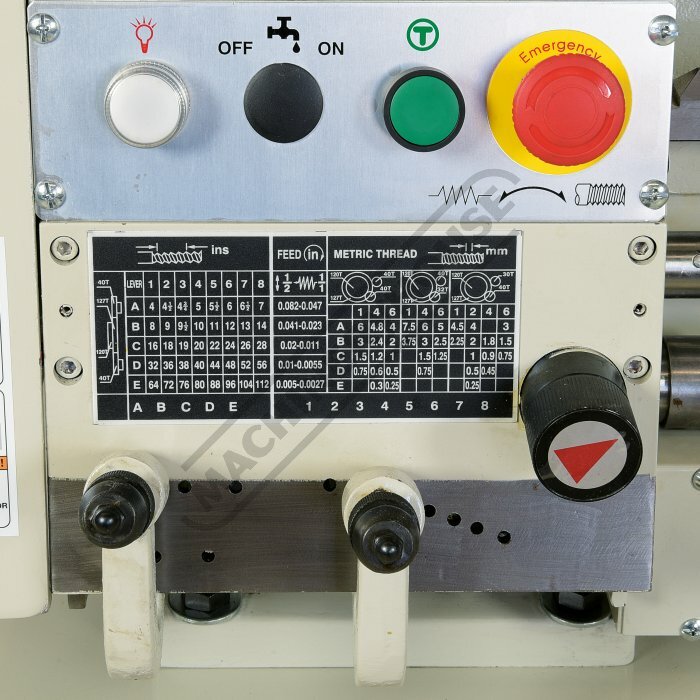 2hp single phase 240 volt motor is supplied on machine, taper roller spindle bearings, range of cross and longitudinal feed speeds selected on a separate gearbox, thread chasing dial, chuck guard & splash guard. 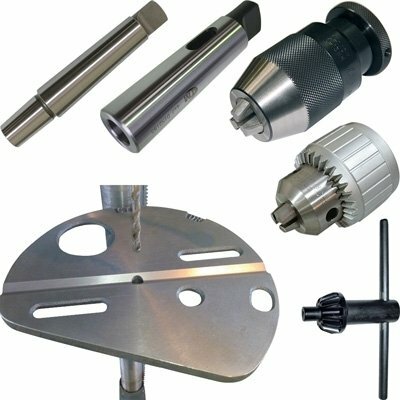 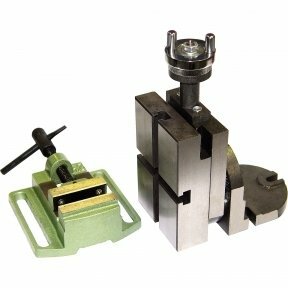 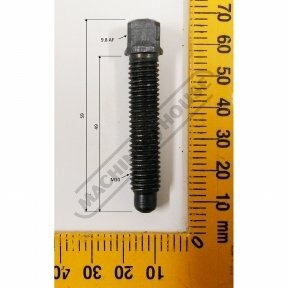 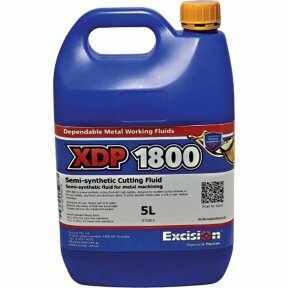 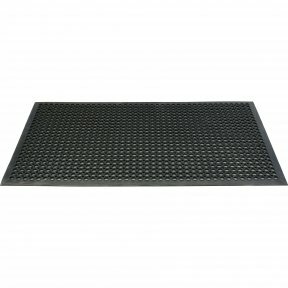 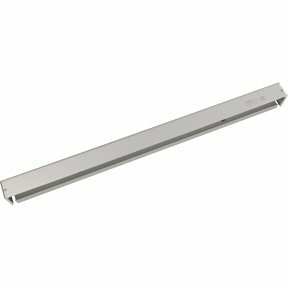 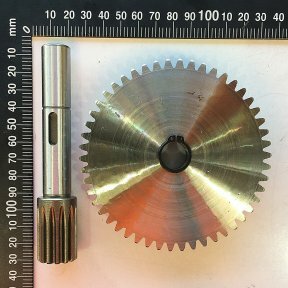 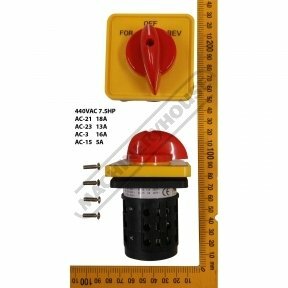 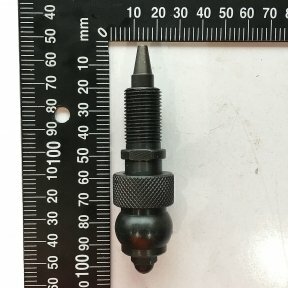 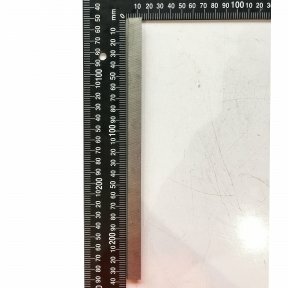 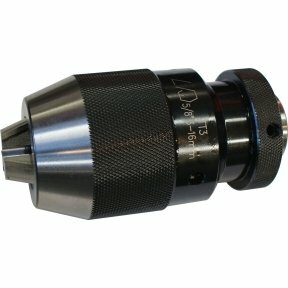 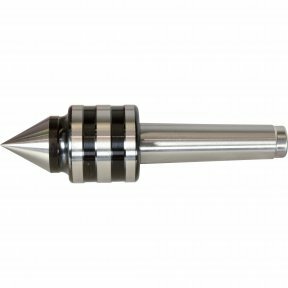 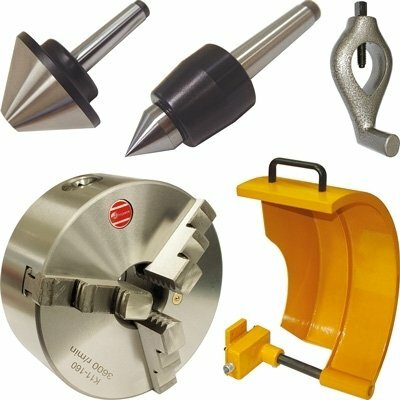 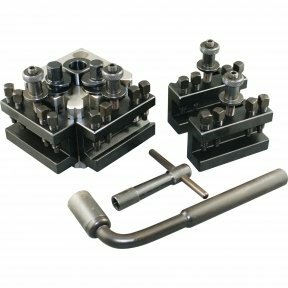 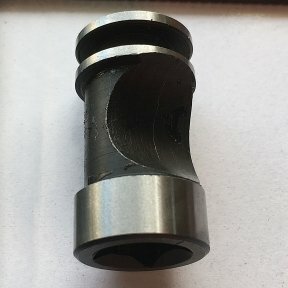 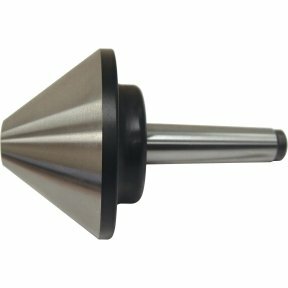 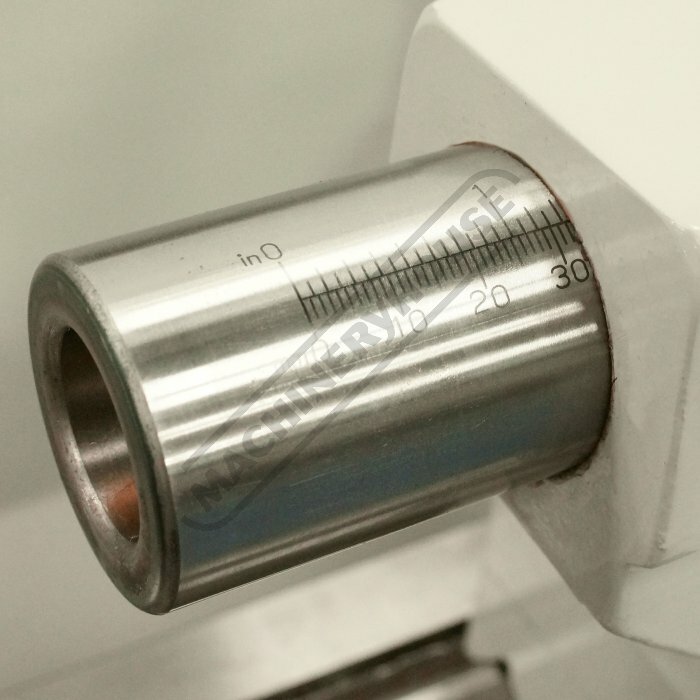 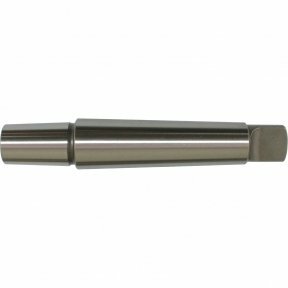 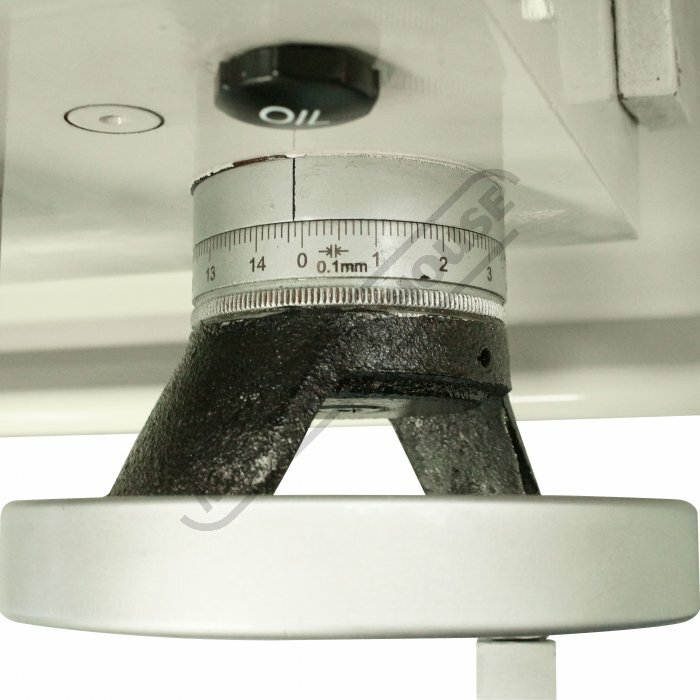 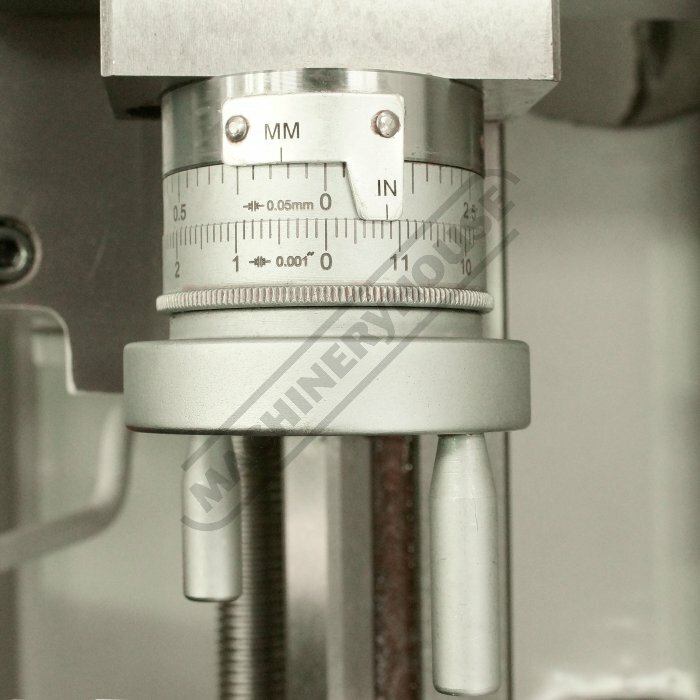 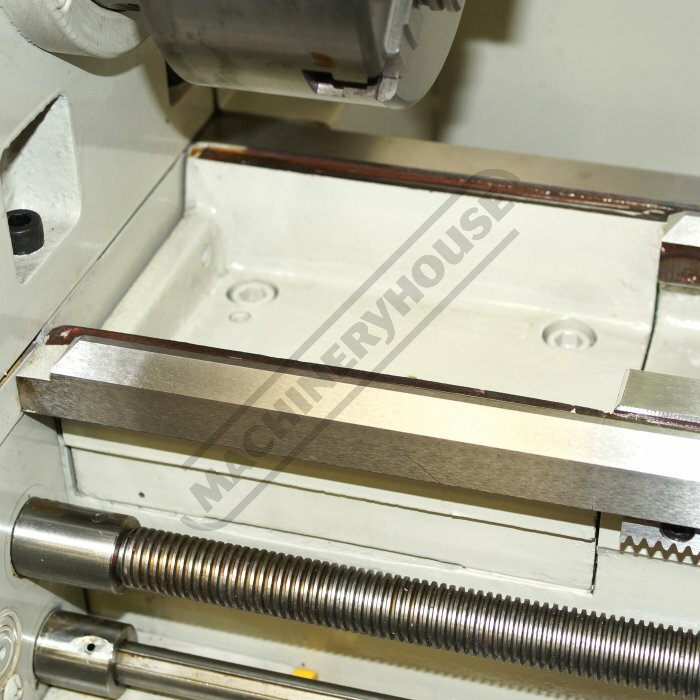 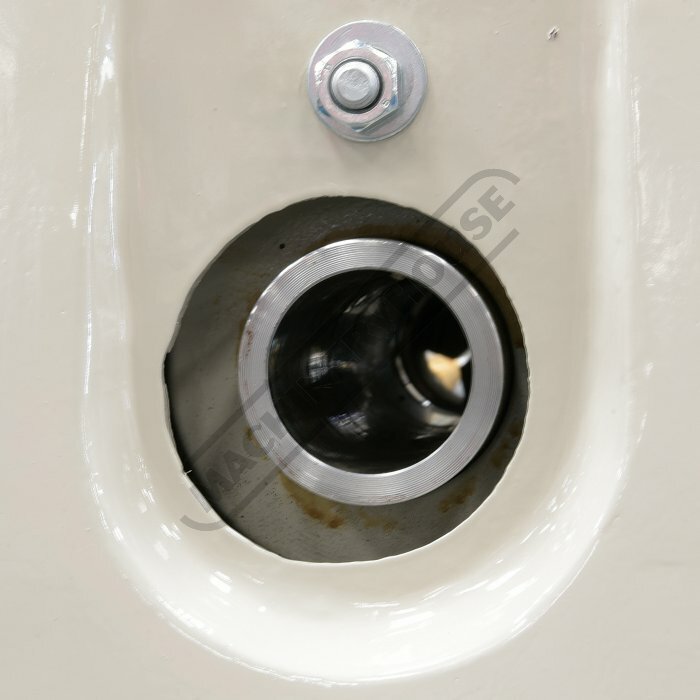 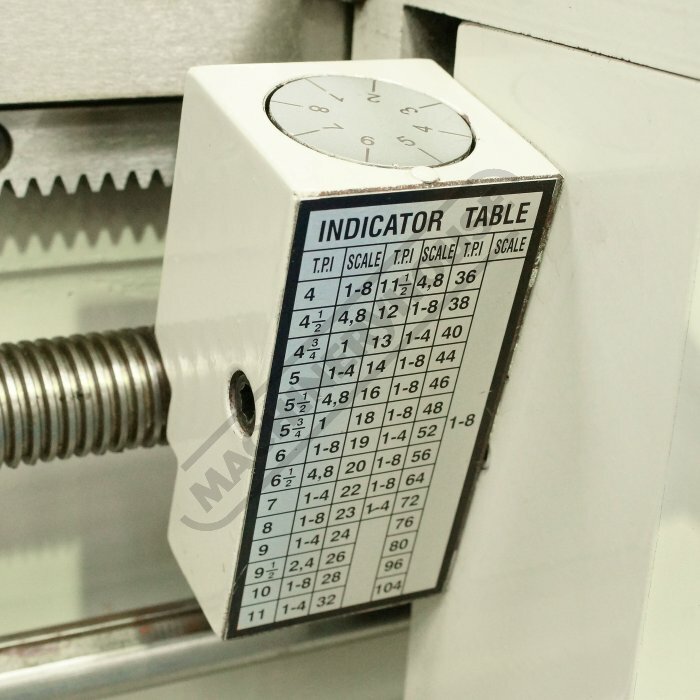 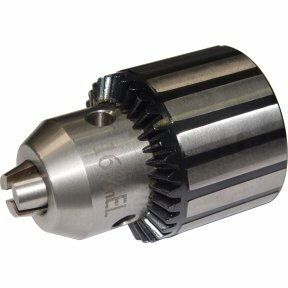 Supplied with a large range of standard accessories including a 150mm(6") 3 jaw self centring chuck, 200mm(8") 4 jaw independent chuck, face plate, dead centres, 5 to 3 MT reduction sleeve, steady rest, follow rest, standard tool post, floor stand with a swarf tray. 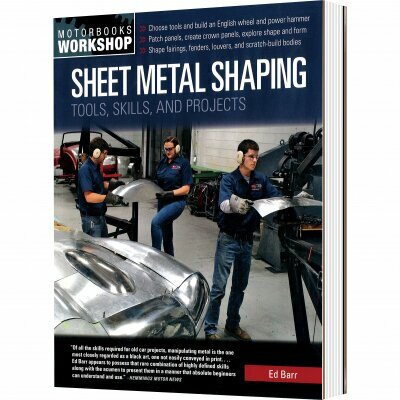 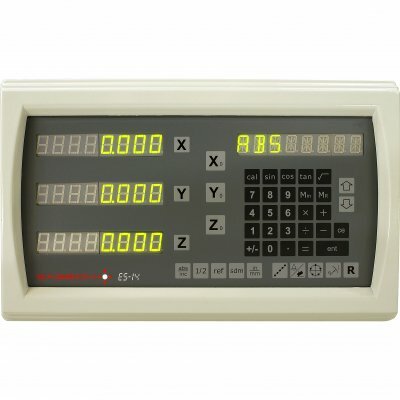 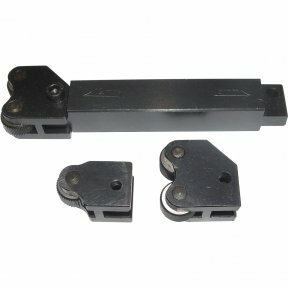 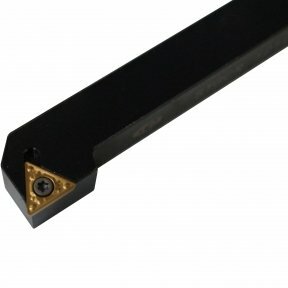 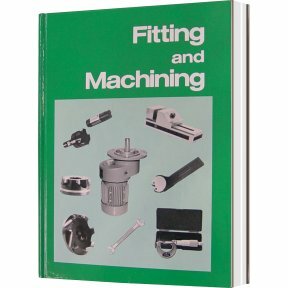 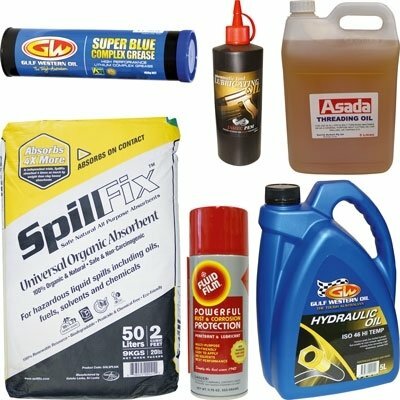 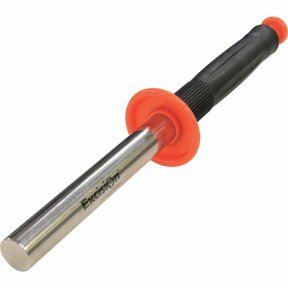 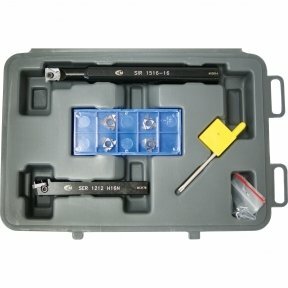 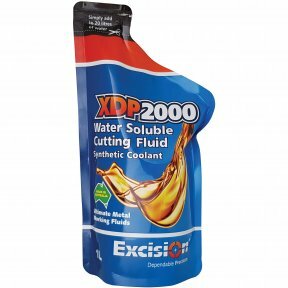 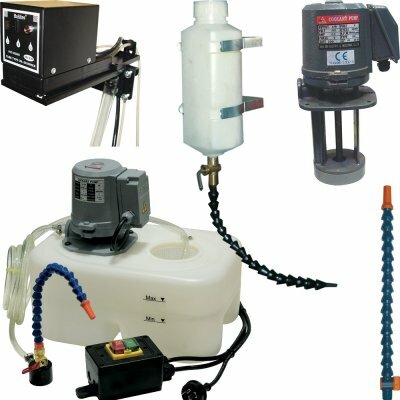 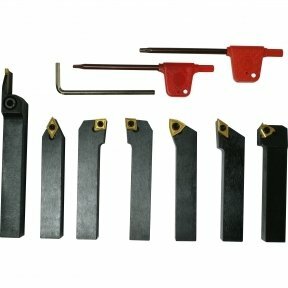 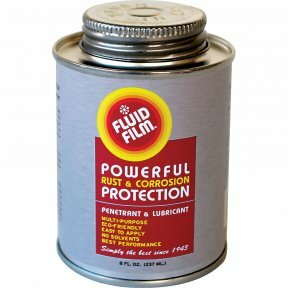 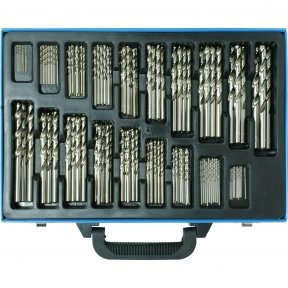 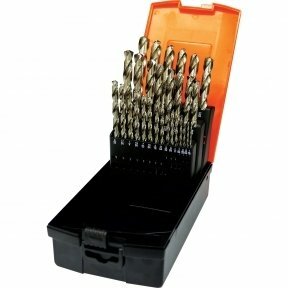 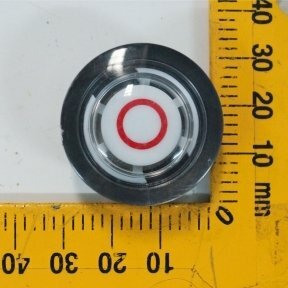 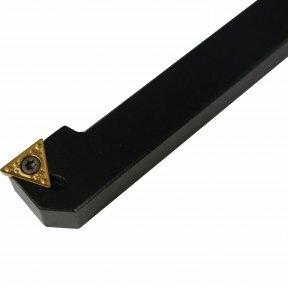 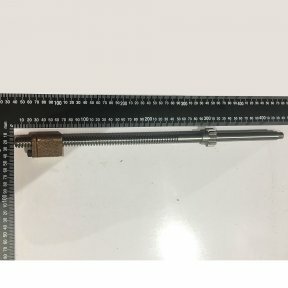 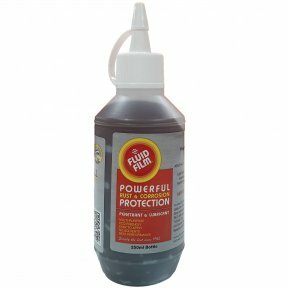 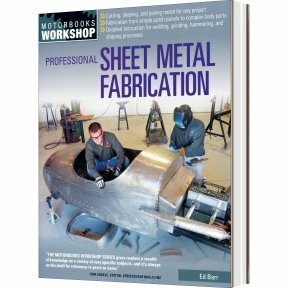 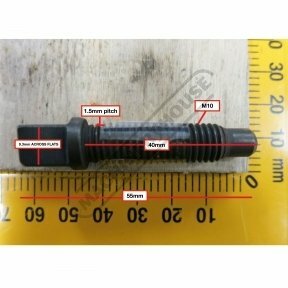 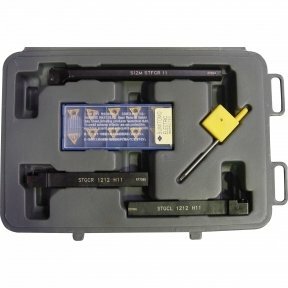 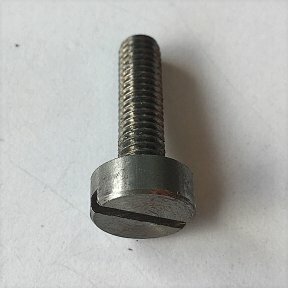 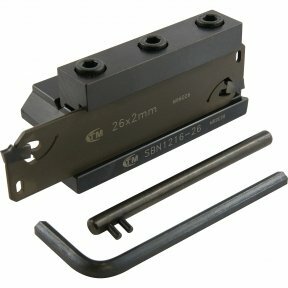 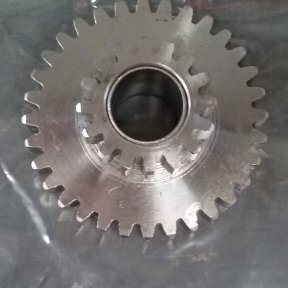 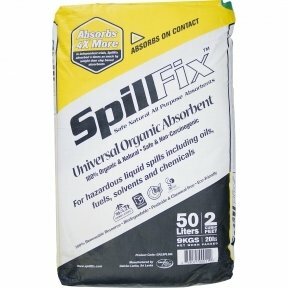 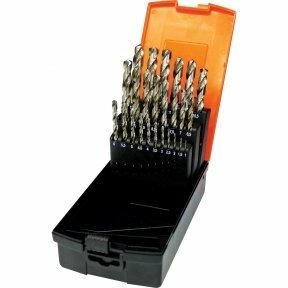 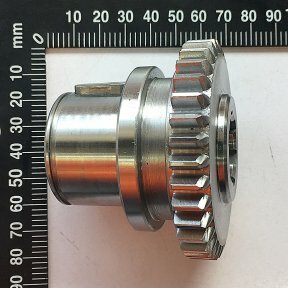 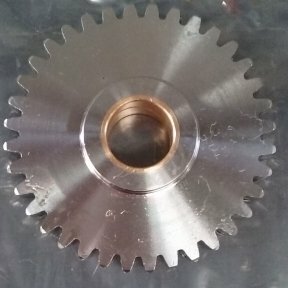 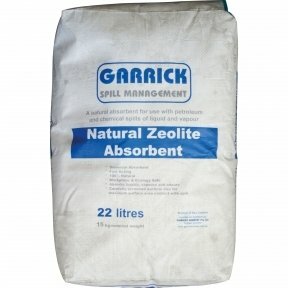 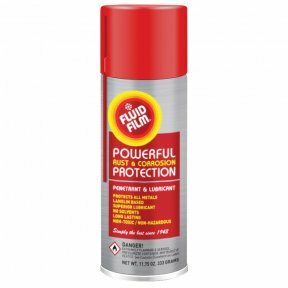 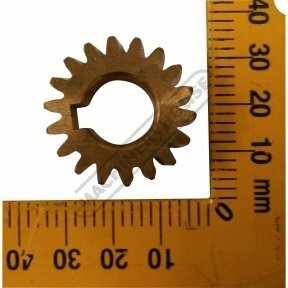 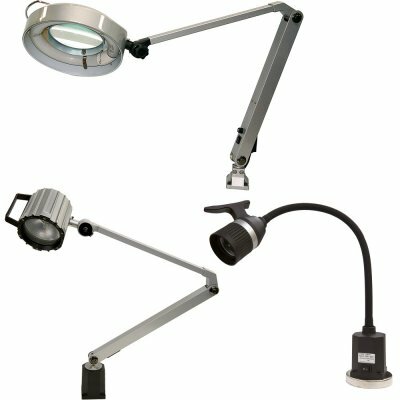 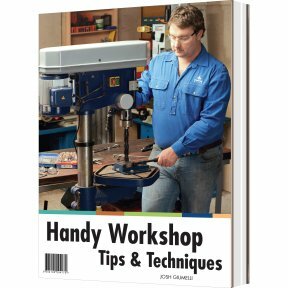 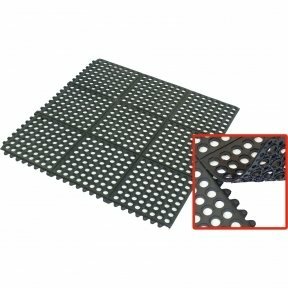 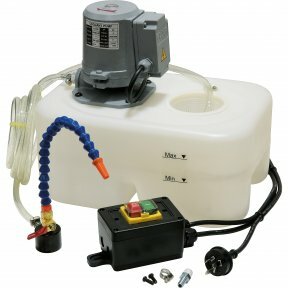 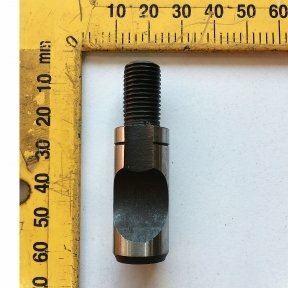 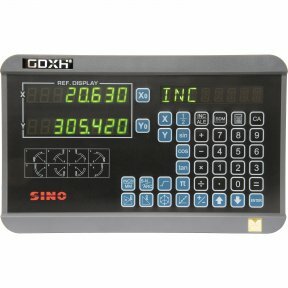 Change gears and toolbox with maintenance tools.